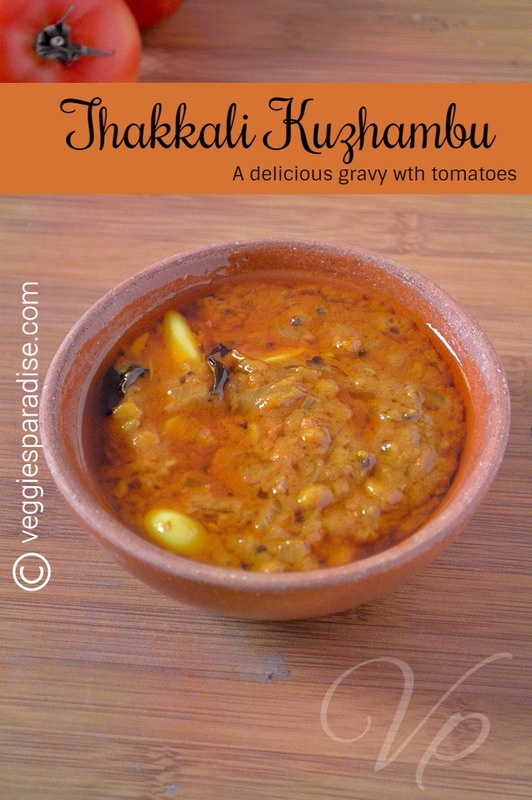 TOMATO | THAKKALI KUZHAMBU - This is a simple, delicious and versatile gravy prepared with tomatoes. My family loves any dishes that tastes spicy and hence this is definitely one of our favourite. The main ingredient is tomatoes and I have used very little amount of tamarind which can be skipped. The texture of the gravy is as same as Kara Kuzhambu only that differs is the taste , do try out you will definitely enjoy as much as we did. 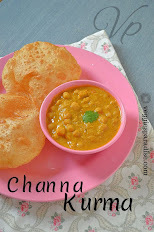 Serve it with mild vegetable poriyal or any Kootu . As I said it as a versatile gravy it also goes well with idli and dosa. So Lets see how to prepare. An easy and tasty gravy with tomatoes. 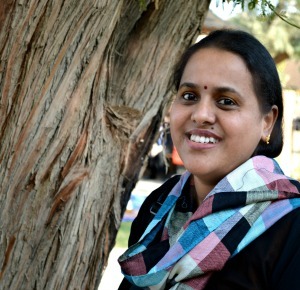 When the oil heats up add the mustard seed, when it splutters add the urad dal along with fenugreek, asafoetida and curry leaves. Saute it for a minute. Now add the small onion and saute until they turn brownish in colour. Add the garlic and saute for few minutes. 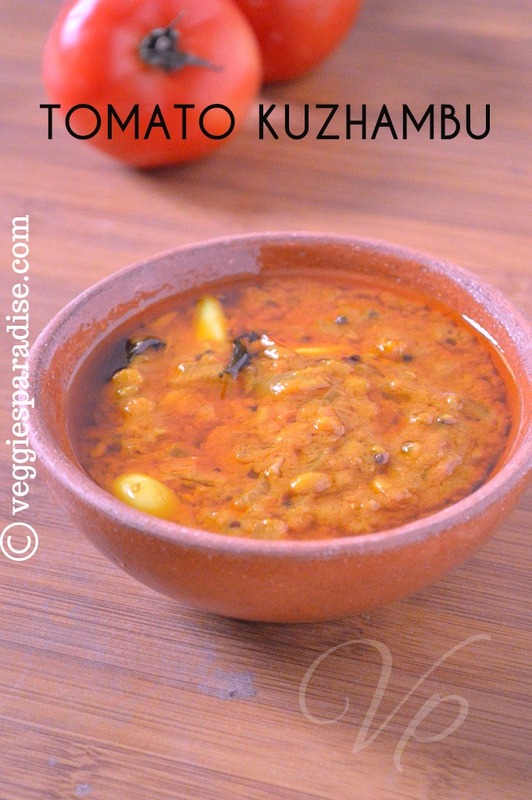 Pour the tomato puree,tamarind extract along with the sambar powder and mix it well. Add salt as needed and stir it gently. Close the pan and allow it to boil in a medium flame. Keep it stirring occasionaly to avoid the gravy getting burned at the bottom and after 10 minutes add jaggery. Cook until the oil seperates from the gravy. I have used little amount of tamarind this is optional.